I use Twitter and Linked-In to direct readers to my blog, and bit.ly to track the clicks. Twenty clicks is good. Last week, in response to a question, I posted some calculations about an old television commercial in which a car is dropped from a helicopter. That got 7,000 clicks. My original paper is here. So far, it has been downloaded over 1,000 times. People are retweeting it around the world, and trolling me about terminal velocity. Ordinarily, the only velocity I care about is how fast the car leaves inventory. Drop one from the sky, though, and that’s popular. I think it was a Chevy commercial. They drop a car from 4,000 feet up, while another car races to pass the target before the falling car strikes. This takes roughly 16 seconds. It only works because the second car gets a running start. It is already going 172 MPH when it reaches the starting line. Such a car would be able to accelerate from zero to 60 MPH in 2.75 seconds. 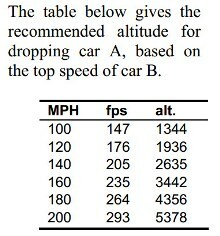 The paper includes a table showing how they chose 4,000 feet based on the speed of the ground car. Troll alert: the falling car does not reach terminal velocity until roughly 285 MPH, assuming 0.3 coefficient of drag. Back when this commercial was filmed, it was inconceivable that a car could beat gravity from a standing start. Acceleration due to gravity, one “G,” is 21.8 MPH per second. Released from the helicopter, the falling car reaches 60 MPH in 2.75 seconds. Thanks to the instant torque available in electric cars, the newly announced Tesla model S P100D does zero to 60 in 2.50 seconds. This is a lot of arithmetic (and a lot of Twitter clicks) to prove one thing: Tesla should remake the commercial. Soon the dreaded 500+ designation will be on my Linked-In profile. Probably fifty of my old friends are no longer relevant. Some have retired. Some have left the industry. Sadly, people fall out of touch over the years. If I am slow to accept your connection request, please don’t be offended. Send me a note reminding me where we have worked together. This way, if someone asks me about you, I have something to say. A few years ago, I wrote a spec for a generalized forms bureau, to which F&I product providers would outsource their forms work. Today, every provider I know has a satisfactory forms service installed, so I am putting the spec out in the public domain. It’s on my web site, just below the DSP white paper. I imagine it may have some application in another industry, like health care. See excerpt below. Enjoy! For best results, this functionality will not be confined to the provider’s web site. It will be exposed as a web service, and made available for integration with all relevant point-of-sale (POS) systems. The purpose of a “global forms service” is to make this approach available to all forms providers on an outsourced basis. It’s true. I told everyone I wasn’t going this year. 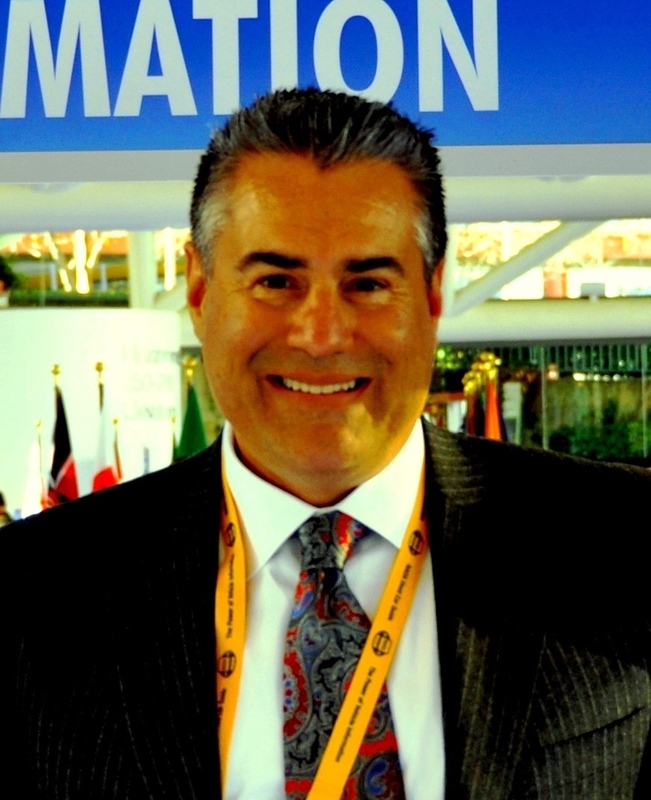 Every second year is sufficient, and I was just in Las Vegas for the F&I conference. This even influenced the timing of my departure from PEN. Now, though, I have a new project and NADA will be ideal for the kickoff. So, I will see you there. I also expect to see the new PEN feature in a number of menu systems. Have a good flight!